In today’s health food and drink sector, there’s a multitude of products that claim to enhance, boost and benefit the body. And as you may have noticed, water is no exception. From the vitamin-infused to the antioxidant, sports waters are a vast market, with electrolyte water being one of the leaders in hydration. But is electrolyte water actually better for you than mineral water? We take an in-depth look into mineral water vs electrolyte water, to find out more. Essentially, mineral water is taken from a mineral spring. These springs contain a number of naturally occurring minerals, such as salts and sulphur compounds. In many mineral waters, a mixture of chloride, bicarbonate, sodium, magnesium and calcium is present. Potassium, silica and TDS tend to be in their makeup. All of these elements are beneficial to the body and can replenish and enhance the body during exercise, after illness and during fluid loss due to heat. This is water that has electrically charged electrolytes or minerals added to it. Even though it may contain a source of natural water, electrolyte water is not usually naturally occurring and the electrolytes will have been added to it. This type of water is best for those who exercise heavily, as it tends to contain higher levels of the most common electrolytes that are present in our bodies. These electrolytes are sodium, potassium, chloride, phosphate, calcium, magnesium and bicarbonate. When it comes to exercise, what do out bodies actually need? A correct electrolyte balance is crucial for healthy muscle and nerve function. They help regulate our body’s fluid levels, acid-alkaline balance and they also work towards the maintenance of our body’s cells and organs. Now, this may make you think that electrolyte water is ideal, however, this is not the case. As mentioned above, the body’s most common electrolytes are sodium, potassium, chloride, phosphate, calcium, magnesium and bicarbonate. These are all naturally occurring factors in mineral water. So, is electrolyte water necessary at all? 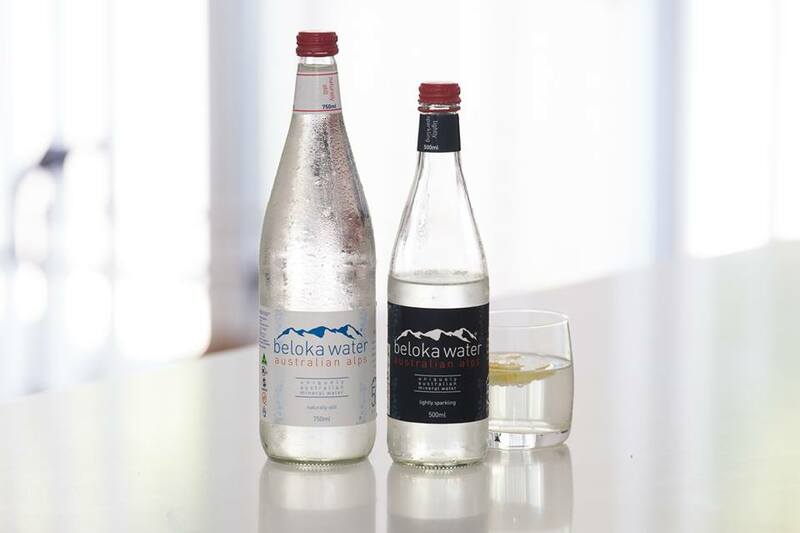 Drinks companies marketing often means lots of jargon and fussy words, causing us to believe that waters such as electrolyte water contain exclusive components and have exclusive health advantages. And with impressive advertising, packaging and a general consumer lack of knowledge as to what our body actually needs, it’s all too easy to fall into the ‘premium water’ trap. However, as mineral water often contains the exact same electrolytes that electrolyte water has, usually at lower levels, you can simply drink a little more and get the same results. And in many cases, electrolyte waters tend to be high in sugar waters with salt added – not the health fix you may think that they are. So, in a nutshell – don’t pay over-the-odds for benefits that you can get for half the price. Which is better – mineral water or electrolyte water? Electrolyte water benefits the body by giving it a quick burst of electrolytes that are commonly lost during exercise, in heat or after an illness. However, this isn’t exclusive to electrolyte water. For the majority of people, mineral water will offer the exact same benefits, at a much smaller price. When it comes to the question of whether electrolyte water is better for you than mineral water, the answer is that in most cases, it is not. For those who plan on doing a small amount of daily exercise, go for short runs and those who work behind desks or in low-impact jobs, mineral water does everything that you need. This being said, for professional athletes and those who have high-impact lifestyles where fluid loss is plenty, electrolyte water is necessary. But unless you are running half marathons, exercising heavily or are very ill, there really isn’t any need for it.